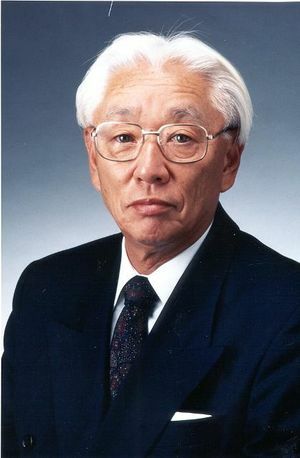 Akio Morita, co-founder of Sony Corporation. Morita was the co-founder of entertainment and electronics giant Sony Corporation. Morita was born in 1921 in the city of Nagoya, Japan, where his family had been sake brewers since the sixteenth century. At an early age, Morita became fascinated with electronic gadgets and took an interest in mathematics and physics. He later studied physics at Osaka Imperial University and graduated in 1944. Two years later, in 1946 Morita and his friend, Masaru Ibuka, co-founded Tokyo Telecommunications Engineering Corporation (TTEC), a radio repair business. During the early 1950s, TTEC began to grow and began manufacturing its own products. In 1950 Morita and Ibuka designed one of the first magnetic tape recorders ever produced in Japan. Seven years later, the company introduced the first pocketsize transistor radio. By this time, much of the company’s production was being sold overseas, particularly in the United States. For a number of reasons, Japanese companies like TTEC were able to manufacturer their products for much less than what it cost American manufacturers. As their presence in the American market grew, Ibuka and Morita changed their company’s name to Sony in 1958. The name was a play on the Latin word “sonus,” meaning sound, and American popular vernacular, “sonny.” The two partners hoped that their company’s new name would stand for youthfulness and energy. In later years, Sony became famous world-wide for numerous inventions, such as the first transistorized television (1960) the Trinitron television picture tube (1968), the Betamax videotape recorder (1975), the Walkman (1979), the compact disc (a product of cooperation with Philips Electronics in the early 1980s), and the Playstation entertainment system. In 1989, Sony also moved into the entertainment industry by purchasing Columbia Pictures, a motion picture studio. Morita died of pneumonia in Tokyo in 1999.